Most alcoholic beverages are somewhat of a required taste. Remember your first beer? Doesn’t taste so odd now, huh? As a gateway drug drink, beer has nothing on the next level up: hard liquor. Soon after discovering that sugar is an effective mixer, 21-year-olds (ahem) everywhere learn that, for their still-developing tastebuds, when it comes to booze, colder is better. 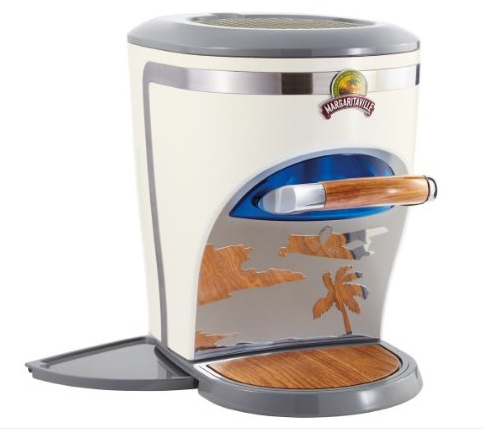 Providing a means to chill drinks colder than ice, the Margaritaville NBMGDC1000 Chillin’ Pour Liquor Chiller is a super-freezer and a drink-dispenser all in one. Chilling spirits down to 15-degrees F, the small countertop unit uses a distinctive throttle handle to ease out a shot of super-cooled booze. The unique bar accessory holds up to 750-mL of booze, or just enough to get the frat party started. At a price point similar to that of a college textbook or two, it may not constitute required reading, but it shouldn’t come as any surprise what will get more use.